China’s Energy Research Institute, the State Grid Energy Research Institute, and other organizations have released a new study concerning the prominence of renewable energy in the country. China has become an aggressive supported of clean energy, holding the position as the world’s leading investor in clean technology and renewable energy, especially when it comes to solar and wind power. In the coming years, clean power is expected to play a much larger role in China’s overall energy structure. 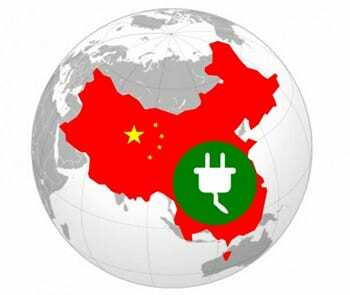 According to the study, China could receive approximately 57% of its electrical power from renewable sources by 2030. By 2050, 86% of the country’s electrical power is expected to come from renewable sources. The study also suggests that the national economy will grow sevenfold over this time period, further establishing China as an economic superpower. The country’s growth in clean energy is related to its aggressive investments that are supporting projects that produce renewable power. Though the study predicts growth in China’s use of clean energy, some factors will have to align in order for this to become a reality. Firstly, the country receiving 86% of its electricity from renewable sources would require a significant growth in the number of electric vehicles that are on the roads. More electric vehicles mean that China will have to spend less money on purchasing or producing conventional fuels and invest more in an efficient energy infrastructure that can support clean vehicles. China must also find ways to increase the use of renewable energy systems in various industries. Industrial processes, such as the manufacture of electronics or the refining of materials, must also be made more efficient. Efficiency will reduce the demand on the national energy grid, allowing the country to move away from fossil-fuels more easily and replace older energy systems with renewable power.